CAMBRIDGE, Illinois (WQAD) - Dozens of people gathered outside the Henry County Courthouse calling on "Justice for Thor." "There`s been dogs before Thor and I think, it takes a village of people to get involved," said Kellie Wallace, shelter director, Henry County Humane Society. Dozens of people gathered outside the Henry County Courthouse in Illinois on Wednesday calling on "Justice for Thor." On Wednesday, August 9, a hearing was scheduled for the 17-year-old who was accused of tying the dog up in a bag and using a box cutter to slash his neck. 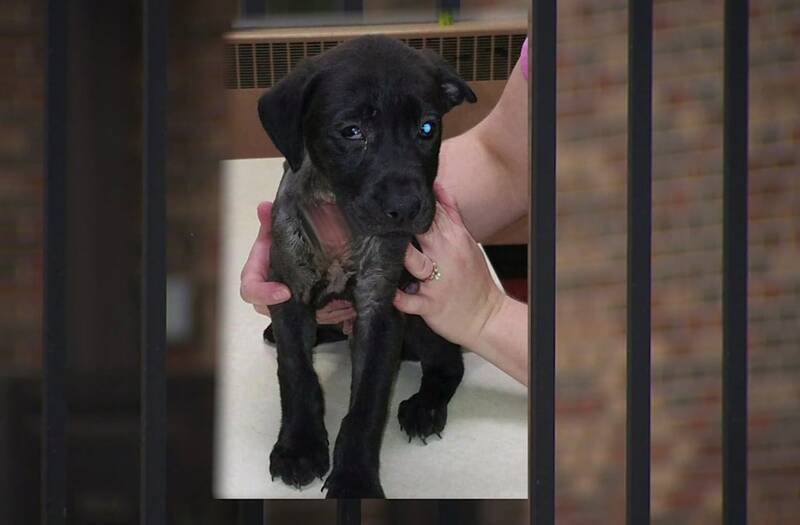 "Justice for this little puppy and for all animals, we're really hoping the judge sees fit to try him as an adult," said Wallace. At the hearing, the teen heard his charges. He is facing one count of animal torture and one count of aggravated cruelty. If found guilty, the maximum sentence the teen could face is five years or until his 21st birthday in a juvenile justice facility. However, those out protesting in front of the courthouse were calling for stricter charges. "We can`t let anyone get away with this, just cause he's 17, doesn't mean he doesn't know any better," said Jennifer Russell, Thor supporter. Paperwork has been filed to have the teen charged as an adult, but no decision has yet been made. "We want people to take it serious, I mean, enough is enough," said Wallace. The pre-trial hearing has been set for August 23 at 11 a.m.
As for the puppy, named "Thor," he is recovering from his injuries. Thor was also outside the courthouse with his supporters.